Bluetooth 5: What's New and What's Good? Bluetooth 5: What’s New and What’s Good? The Bluetooth Special Interest Group (SIG) has announced a new version of the wireless standard. Bluetooth 5 comes with a host of improvements, some that benefit users and some that benefit advertisers — and we’re going to explore them in this post. Bluetooth has been around for more than 20 years, ever since Ericsson first invented it. But it really caught on as a major wireless technology only after the formation of the SIG in 1999. Today, it’s a widely used standard for connecting two nearby devices wirelessly What Is Bluetooth? [Technology Explained] What Is Bluetooth? [Technology Explained] Read More . You’ll find it in smartphones, computers, headphones, speakers, cars, and other gadgets. The last major version of Bluetooth was Bluetooth v4.0, released in 2011. Since then, it only got one major iteration (Bluetooth v4.2) in 2014. Now, Bluetooth 5 is looking to take the standard to new heights by connecting every sort of device in your home. Bluetooth 5 is the specification agreed upon by the SIG, which is comprised of 30,000 different companies. Having a common standard is important since it means devices can talk to each other more easily and with fewer problems. Bluetooth 5 includes improvements for range, speed of transfer, power consumption, and bandwidth. It also adopts a new nomenclature. There is no dot or “v” any more, like with “Bluetooth v4.2”. Now it’s just Bluetooth 5. Simple. The biggest improvement in Bluetooth 5 (BT 5) is its range. Anyone who has used Bluetooth knows that it’s effective only up to a certain distance between devices — and that distance increases four times with BT 5. The new standard theoretically supports distances up to 300 meters (1,000 feet). Of course, that’s in theory and in test conditions, much like the previous standard’s claim of 75 meters. That range holds up only outdoors, with no other interfering signals, and with direct line of sight between devices. In real world settings, such as in a home or office, Bluetooth 4.2 works at distances of around 10–15 meters. If we assume the same proportional loss in range, Bluetooth 5 should connect at distances up to 40–60 meters, which is still a significant boost. It’s another step in how Bluetooth makes your home artificially intelligent Here's How Bluetooth Will Make Your Home Artificially Intelligent Here's How Bluetooth Will Make Your Home Artificially Intelligent Zuli is taking geofencing to the next level, and their new geofencing-capable plugs show some of the potential of what a smart home can really do. Read More . As for immediate benefits from this, the most common uses for Bluetooth 6 Top Uses For Bluetooth On Your Android Phone 6 Top Uses For Bluetooth On Your Android Phone Bluetooth has been an impressive wireless technology to enable all sorts of cool functionality with multiple gadgets. 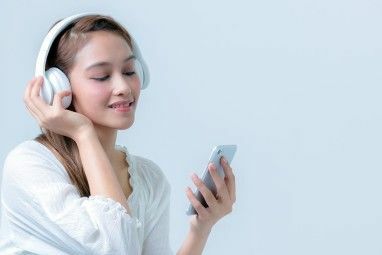 While it was rather limited during the early stages of its life, Bluetooth has evolved to be capable... Read More just got better, like listening to music on wireless speakers while playing from your phone. As we move into the age of wearables, Bluetooth transfer speeds are getting more important. Right now, your smartwatch connects to your smartphone on Bluetooth. So if you take a photo on your smartwatch and want to sync that to your phone, it has to transfer over Bluetooth. Bluetooth 4.x supported a maximum speed of 1 Mbps. Bluetooth 5 doubles that to 2 Mbps. So whether it’s transferring data from your smartwatch to phone, or from the phone to a Bluetooth photo frame at home, it’s going to be much faster. For the longest time, there’s been this notion that Bluetooth drains your phone’s battery quickly. 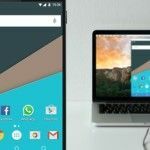 That’s a smartphone myth that simply isn’t true any more 10 Popular Smartphone Myths That Aren't True 10 Popular Smartphone Myths That Aren't True We're going to tackle 10 of the most prevalent smartphone myths today and see if we can't do our part in ending the misinformation surrounding today's smartphones. Read More . It has been power-efficient ever since the introduction of the Bluetooth Low Energy (BLE) module, a.k.a. Bluetooth Smart. Bluetooth 5 takes this to new heights by reducing power usage by as much as two-and-a-half times what Bluetooth 4.2 used. Technically, this will require your device to be running on Bluetooth Smart. But don’t worry, almost every Bluetooth gadget uses this standard as the default these days. This one change isn’t going to be directly useful for regular users like you and me, but it will benefit us indirectly: Bluetooth 5 has increased the bandwidth of data it can transfer. Bluetooth uses something called “connection-less broadcasting”. This lets an advertiser send data to your Bluetooth device even if you aren’t connected to them. For example, let’s say you’re in a mall and your smartphone’s Bluetooth connection is on. An Apple store at the mall can have a Bluetooth beacon (transmitting device) that sends its latest offers and sale information to your phone. You don’t need to be connected to the Apple store’s beacon for that. Up until recently, this practice wasn’t widely adopted because the bandwidth of data you could transfer was quite low. Currently, an advertiser can only send 31 bytes of data. With Bluetooth 5, that size increases to 255 bytes. The big change this facilitates is that Bluetooth 5 will be able to transfer navigational information, which means that once you’re in a certain location, you can get information useful to that location. In scenarios where contextual awareness like navigation and pin-point location are crucial — such as hassle-free airport navigation experiences, asset tracking of warehouse inventory, emergency response, even smart city infrastructure that helps the visually impaired be more mobile — Bluetooth 5 will send custom information people actually find useful in that moment without connection and application barriers. Of course, this can open you up to some smartphone security risks with Bluetooth 4 Smartphone Security Risks To Be Aware Of 4 Smartphone Security Risks To Be Aware Of There seems to be a sort of general malaise among users – the tech savvy and everyday users alike – that because your computer fits in your pocket, it can’t be infected by malware, Trojans,... Read More . But remember, you need to act on the information, like tapping it, to get infected. So be cautious and use safe practices and you’ll be fine. All these changes, unfortunately, won’t be available on your existing phone. Bluetooth is backwards compatible, so a new Bluetooth 5 device will still connect with your old Bluetooth 4.x device How Bluetooth 4.0 Is Shaping the Future of Mobile Connectivity How Bluetooth 4.0 Is Shaping the Future of Mobile Connectivity Bluetooth is the forgotten star on the device specifications sheet. Read More . But such a connection is without any of Bluetooth 5’s benefits. To get the benefits of Bluetooth 5, you need both devices to be running it. And since the changes are massive, Bluetooth 5 will require new hardware. That means the existing Bluetooth 4 chip in your phone or speaker can’t be “upgraded” to Bluetooth 5. You’ll need a new device that comes with Bluetooth 5 built-in. When Will You See Bluetooth 5 Devices? 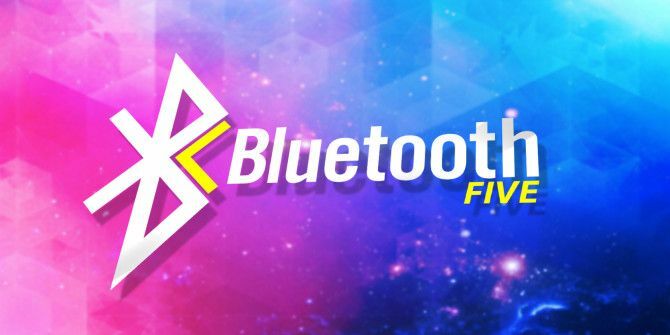 The Bluetooth SIG has so far only announced that it has agreed upon the Bluetooth 5 standard’s specifications. It hasn’t yet released the final technology. That technology will be released to manufacturers in late 2016. Once manufacturers get their hands on it, it takes them a short time to incorporate it into their gadgets. Best case scenario, you can expect Bluetooth 5 to feature in the first lot of new flagship smartphones in 2017, usually announced at Mobile World Congress in February. Your devices will connect at longer distances. Smart fridges, wireless speakers, and other gadgets in your smart home should be able to talk to each other easily. You will be able to transfer data faster between gadgets. This is great for wearable devices, like smartwatches, that are paired with your smartphone. You can leave Bluetooth switched on, without worrying about battery life. You will need a new device, since Bluetooth 5 won’t work on your current gadgets. Are You Excited About Bluetooth 5? The Bluetooth SIG seems to have made all the right changes to make Bluetooth 5 more popular than ever before. The low power consumption and the increased range are especially tempting. Are you excited about Bluetooth 5? Or is there some other close-quarters wireless technology that has caught your fancy? This might be nitpicking, but for editing purposes, "Uses 2.5x Less Battery" should be written as "uses less than half the battery power" or something similar. Really can't express a reduction as a multiple of a value. Sure I'm excited about it since I love to listen music over Bluetooth. I'm wondering to what extent Bluetooth Audio will benefit from Bluetooth 5 release? We know that 192khz - 24 bit audio cannot be transmitted via current Bluetooth devices. 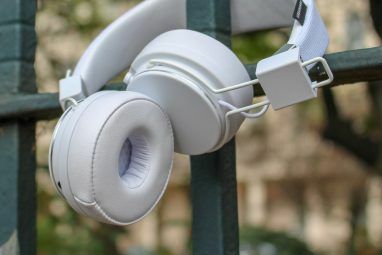 Would it be possible to listen hi-res audio with Bluetooth 5? Will Bluetooth 5 "skip"? I've purchased 5 or 6 Bluetooth headphones in the past. When paired with my iPod touch or Samsung Galaxy, there are "skips" in sound continuity. I've read, posted, blogged, etc. on this issue. I even chatted with a rep from the highest cost, highest rated headphones who told me something like "everything has its quirks". "Skips" in music are not as bothersome as "skips" in the spoken word, e.g., podcasts, books. I've followed every suggestion to stop it without success. Is Bluetooth 5 the answer? I own a bluetooth headset that i've paired with several phones and have never had any skipping problems. It was a $45 stereo headset i'd purchased from Amazon too. That being said, the only issues I have with bluetooth is the audio modes. For playback (e.g. music) the audio quality is good but when it switches to playback/recording (such as when I am using the headset for a phone conversation) the audio quality drops substantially. I'm wondering if either yours or my problems might be caused by the bluetooth mode, by a buggy bluetooth chip, or simply by interference (for example EMI or other nearby bluetooth devices). I'll be excited when aptx is widely adopted so Bluetooth can stop sounding like a turd cannon.